Everyone knows that trying to win money by betting on horse racing isn’t an easy thing to do. In fact, any sort of gambling is a risk, which is why bookmakers keep on reporting huge profits while British gamblers lost a record total of £13.8bn on bets for the year ending September 2016. In this piece I’ll be covering the best horse racing betting systems. Yet, unlike some other forms of gambling, horse racing doesn’t just come down to pure luck. This is because you can use some tried and trusted horse racing systems to raise your chances of a win every time that you place a bet on a race. The following strategies won’t guarantee that you win on every race but they will give you more possibilities of beating the bookies regularly if you use them wisely. 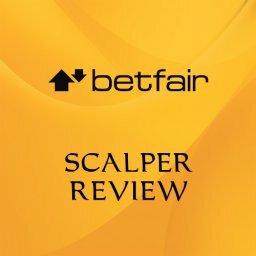 This is an easy to use horse betting system that takes advantage of a flaw in the way that each way prices are set up by bookies. Of course, the bookmakers know all about this issue but there is nothing that they can legally do about it, even though they have tried desperately to get it removed. To give the Each Way Sniper approach a try you need to use a special piece of software that identifies the most profitable bets around at any given time. This tool lets you very easily see where you need to place an each way bet in order to make money regularly. You then place a bet with the bookmaker and lay it off with Betfair. If you do it right then you will win regardless of the outcome. 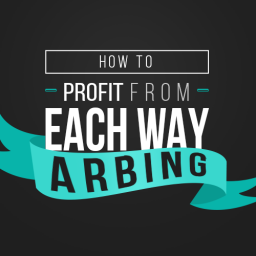 The tool mentioned earlier locks in the profit that you make and if you use it wisely then you will win pretty much every time that you use it. It is important to point out that this horse racing system is based on mathematics rather than luck or gut feeling, so success comes down to following the rules to the letter. 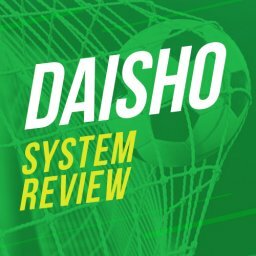 Overall, this betting strategy is ideal for someone who is happy to spend a couple of hours learning the ropes and then meticulously planning their bets in order to pick up regular, fairly modest wins with little risk. Read more about Each Way Sniper here. Another of the popular horse racing systems is known as the extra place strategy. This is an option that can be used by all gamblers using each way bets. These aren’t available on all races. Basically, bookmakers will sometimes pay an extra place on each way bets at some racing events. This means that you can look to take advantage of the greater chance of winning even when you wager a modest amount. The first point you need to understand is that bookies typically pay out on a fixed number of places depending upon the number of horses taking part and the type of event that it is. So, a handicap race with over 25 runners will pay out on 4 places, while a race with 5 to 7 runners will normally only pay out on the first 2 places. To get started on this horse betting strategy you need to first of all find out what extra place offers are currently available from bookies. I use Oddschecker to find this out. It is then a question of methodically working out the odds that are on offer for finishing in the extra place, and how you can lower the risk. Typically, you will only ever risk a small loss of a few pounds by also adding a place lay bet that pays out if the horse doesn’t finish in one of the paying places. If your horse finishes in the extra place position, you win both the place part of the each way bet and also the place lay bet. Therefore, you are aiming for a big win but minimising the risk so that you won’t ever lose all of your money in this way. As with the Each Way Sniper betting strategy, this is a horse racing system that is all about understanding the odds on offer and making smart decisions based on maths rather than having an in-depth knowledge of the horses. Read more about the extra place strategy here. As you start looking at the offers from different bookies you will see that there are sometimes horse racing refunds available. These are special deals that will give you a refund if a certain event occurs. This refund will typically be in the form of a free bet that you get awarded for future use. The outcome that triggers this refund can be that your horse comes second, a high odds runner wins or a number of other different situations. The majority of the big bookmakers have this kind of deal. The maximum stake is typically restricted to around £25 and they aren’t all as generous as each other, so a bit of checking around will let you see which ones are most likely to be worthwhile. Once you have identified a refund offer that looks worth betting on then the next step is to work out whether you can lower your risk by finding a way of minimising the qualifying loss. For instance, you should be looking for runners that have closely matched odds with both the bookie and the exchange. What you then do is place a back & lay bet and hope that your horse finishes 2nd. You will lose a small amount of money on the bet typically £1. When you hit the 2nd place you will gain a £25 free bet. As you can see, this isn’t a magical formula for free money, as it requires you to put some effort into working out what the best offer is and how to make the most of it. Yet, it can be extremely productive if you get it right. Find out more about horse racing refunds here. Among the most popular horse racing systems that you have heard of it is likely that you are aware of horse racing tips. These are suggestions that are handed out to punters by professional tipsters with strong track records. 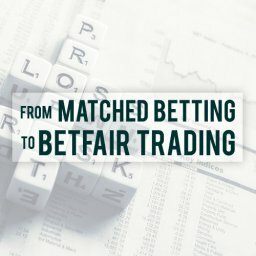 They may base their tips on inside knowledge or simply on having a long, successful career in identifying the best bets in any particular race. Of course, it is also worth pointing out that there are some scams in this industry for you to be aware of and avoid. Ideally, you will use a trial period offer to give one of these sites a try before you give them any of your money for a subscription. Some of these services are also free to join up to, although you should still be aware of the dangers of giving your email address to a scamming site. If you start to use a good, reliable horse racing tips service then it should turn out to be a very profitable move. Even if you are paying out for the tips you receive then you will still end up in the black if you get solid advice and act on it. Generally speaking, once you sign up for one of these services then you will receive daily tips sent to your email inbox. 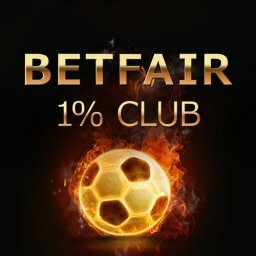 A couple of the reputable sites that are worth giving a try are Betting Gods and Betfan. This is the type of horse racing system that is possibly ideal for someone who doesn’t have the time or the inclination to do a lot of investigative work or crunch numbers on their own. If you just want to open up your email and find some good suggestions waiting on you then this is a useful strategy, although it probably won’t be right for you if you want to feel completely in control of your own strategies. While we have looked at fairly easy horse racing systems so far, there are also more advanced strategies that you might be interested in trying out too. A good example of this comes with the way that the Betfair horse betting exchange allows you to trade. There are a number of different ways of doing this to try and ensure a healthy win. In general terms, trading is when you place money on a horse to win and then set up a lay bet that will pay you if it doesn’t win. An example of when this could be useful is when you place a bet but then the conditions change due to heavy rain or some other external factor. In this case, the horse’s odds could alter significantly and placing a lay bet could be a good move. In this way, you will lower the risk of losing money and give yourself an extra chance of winning instead. Indeed, in some cases you may be able to guarantee that you win something no matter what happens in the race. There are a few different ways of using this horse betting strategy to try and increase your chances of winning. For example, you might want to focus on the short priced favourites in each race, as this is where most bets are placed and therefore where there are typically good possibilities for taking advantage of significant changes in the odds. It is also possible to place a bet before the race starts and then use in-race betting to carry out your trading as the runners progress. Certainly, this is a very exciting way to bet and it can also give you great results if you are capable of thinking on your feet as the action heats up. Trading is another of those horse racing systems in which you need to find out all of the relevant information in order to make a good decision. There is simply no way to start betting in this way without first of all learning all of the details that you need to know. 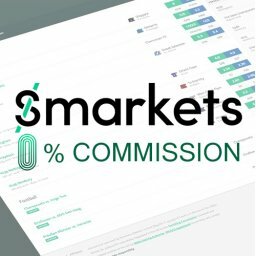 Naturally, there are likely to be many other people out there who are also looking for exceptional trading opportunities, so you will want to move swiftly and decisively once you have found a deal that suits you. Another of the more advanced horse racing systems, dobbing is actually very similar to trading. The name comes from the fact that it is a double or bust strategy, although this doesn’t winning double like you might initially think when you see the name. Dobbing works on the basis of the gambler getting at least a 50% lowering in price during the race. 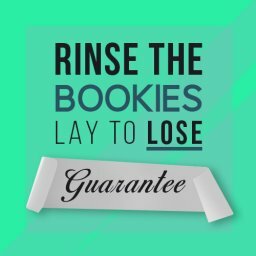 Essentially, you will double your stake on the lay part of the bet, helping you to avoid potentially heavy losses by turning any runner into an even money bet. One of the keys in this strategy is to choose the right horse. For example, there are some horses that have a reputation for being traded at substantially lower or higher prices in-play. You will be interested in those who prices drop once the action starts. In some cases, a horse may be well-known for regularly running well in races but not ever actually winning. To help you out, you will find dobbing cards and useful statistics at sites such as Patternform, to help you to work out how best to carry out this betting strategy. To make this system easier to understand we should explain that when the horse’s price is reduced by half then you are left with a 100% return on the stake if the odds are 2.02 or higher. 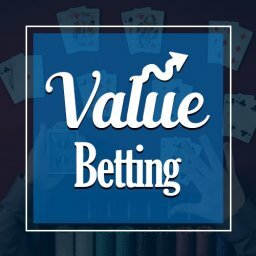 Therefore, you want to start off betting at the starting price and then look to lay it off at half of this price or, ideally, lower. The chance of dobbing on a horse increases when he reaches the front and stays in the leading position. Another approach is to simply work out the statistics and form of each runner, although you will generally find that there are relatively few good candidates for dobbing in each day’s racing. In fact, you will probably find that the ideal method is to take both of these factors into account. It is a difficult horse betting strategy to work with but it can bring big rewards as well as being thrilling to carry out. As you can see, there are a few different way of betting on horses that can lead to the sweet smell of success for you and disappointment for the bookies. So, how do you work out which of these tried and trusted betting methods is right for you? Well, if you are a newcomer to betting on horse racing then you may want to go for one of the simpler approaches. Receiving betting tips to your inbox and acting on them is an easy way to get started, although you may find that you feel slightly frustrated after a while if you rely purely on other people’s suggestions for your bets. Using software to carry out the Each Way Sniper strategy is clearly a smart approach too if you are new to horse racing and want to give yourself a helping hand. This lets you lower the risk of your bets while maximising the potential for more frequent wins. The extra place strategy requires a bit of work on your part but it isn’t particularly difficult to get to grips with even on your first bets. You will need to dedicate some time to doing the research but it is something that anyone can try out. The refunds offered by bookies for certain outcomes such as your horse coming in second is also suitable for newcomers. 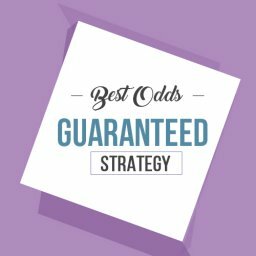 However, in this case it is important to not get blinded by the prospect of a free bet, as you still need to use this option wisely and choose the right approach. Moving on to the most complex horse racing systems, trading is a fairly involved process that needs you to be alert and to take advantage of changing markets and prices. Being able to crunch numbers and think quickly are arguably more important in this betting strategy than having an encyclopaedic knowledge of the runners, although you will expect to learn which horses to look out for over time. Dobbing is similar to trading in many aspects and is best seen as an approach that is more suited to experienced gamblers who are able to spot which horses provide the best possibilities at any given time. Of course, for many people the very best way of finding the perfect horse race betting strategy is to give a few of them a try. These strategies are all different, so they each suit different personalities, lifestyles and expectations. For instance, would you prefer to dedicate a lot of time to trying to get a huge win or would you like something easier that lets you pick up modest wins here and there? By taking a few minutes to think about how you would like to gamble you can get a clearer idea of how best to do it. After this, it is easy enough to get started on any of these systems once you understand what they are all about. You might find that one of them is ideal for you or you might realise that it is best to switch between them from time to time.